Jennifer Dix is a writer, editor and genealogist (she loves getting to the roots of things). She worked for many years as a journalist in the Northeast and Midwest before moving to Berkeley in 2000. She has been a volunteer in Berkeley public schools and school gardens and served on several PTA boards. 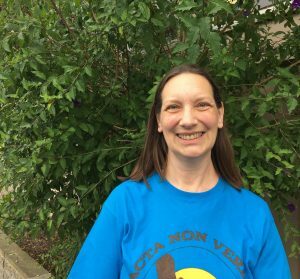 She met ANV founder Kelly Carlisle as a fellow parent when both their daughters were in elementary school, and was immediately impressed by Kelly’s warmth, humor, and passion. Jennifer has followed the growth of Acta Non Verba from its inception and is excited to offer her support to this remarkable organization as a member of the ANV advisory board.